SRL members Alexis Merdjanoff and Liz Koslov have just published an article on “Materializing Crisis: Housing and mental health from Katrina to Sandy,” in the Sandy-themed issue of Social Text Periscope. 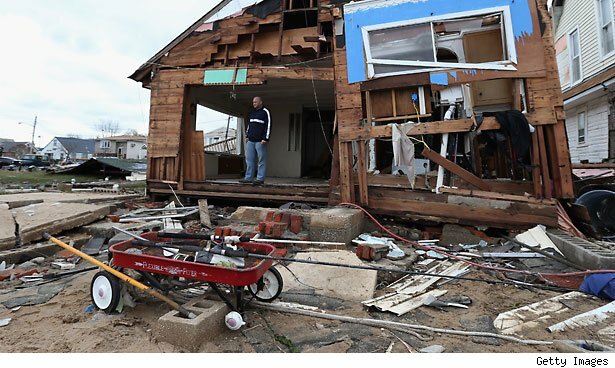 Home damage is known to lead to emotional distress, yet it was not until recently that researchers began to understand the complexity of this relationship in disaster-impacted communities. One might assume that as the amount of housing damage increases, so too does the emotional distress of its owner or occupant. In post-Katrina New Orleans, however, Merdjanoff (2013) found that residents whose homes were badly damaged but remained standing had higher levels of emotional distress than those whose homes were completely destroyed. There are several possible explanations for such findings. For these residents, the ability to see but not occupy their homes seemed to prove more traumatic than its utter physical erasure, and possibly prevented closure. Those whose homes were severely damaged rather than destroyed were not immediately forced to leave memories behind and settle in new homes and neighborhoods. Instead, they may have had to decide whether to renovate or raze a severely damaged home, possibly encountering more difficulty attempting to recoup insurance benefits than had their homes been completely destroyed. They also dealt with the stressful emotional work of sifting through personal belongings like pictures, clothing, and furniture, deciding what to salvage or discard. In each of these scenarios, the emotional and physical energy needed to cope with a partially standing house can outweigh the energy needed to deal with its absence. As these were preliminary findings, Merdjanoff (2013) called for such possible explanations to be further examined in future research. With over 300,000 housing units in New York damaged and tens of thousands of residents displaced from their homes, Hurricane Sandy provides the next case for researchers to further explore the complex interplay between housing damage and emotional distress.